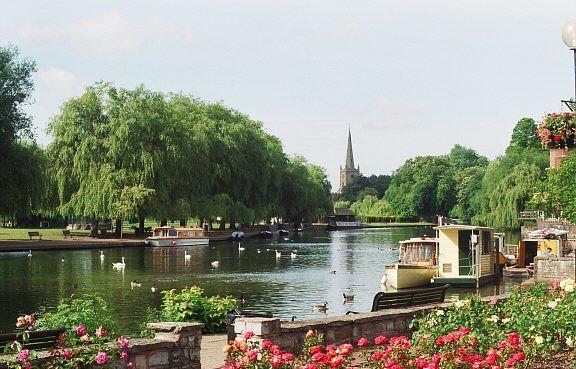 Stratford-Upon-Avon, famed birthplace of William Shakespeare, is probably one of the most beautiful towns in the country, so it’s understandable that local residents would be particularly protective of its distinctive medieval streets and picturesque river views. When, in 2003, Warwickshire County Council and Advantage West Midlands-funded sub-quango World Class Stratford put forward proposals for and new footbridge across the Avon, the local population instinctively knew that the £2million plans were all wrong and united in their opposition. In four separate local polls the proposals for the bridge were rejected, and yet the county council and World Class Stratford rode-roughshod over public opinion and pushed on regardless. Over the next five years Stratfordians campaigned passionately against the bridge proposals, led by residents group Stratford Voice, and at the end of March this year a vote was attended by over 20,000 people who voted overwhelmingly (88%) for these plans to be dropped. This result was barely acknowledged by local leaders. In the meantime, the predicted cost of the footbridge rose to £3.3million. At the council elections in May this dissatisfaction surfaced once again, with the ruling Conservative council feeling the backlash and loosing five seats, completely counter to the national trend. Last week Stratford Voice member and West Midlands TaxPayers’ Alliance supporter, David Bowie, got in touch to say that after all this time and £312,000 the plans have been quietly dropped by the council and World Class Stratford. Time, effort, designs, consultations, polling – so much time, energy and money has been spent by both the local residents campaigning in opposition, and local government-funded bodies, doggedly continuing with this bridge project. If these bodies had actually listened to the needs and wants of their local population in the first place these five years of pointless activity could have been avoided. At least the people of Stratford had the opportunity to remind their elected officials who put them their in the first place and exactly whom they are answerable to, but there can be little doubt that these highly unpopular plans survived so long for being championed and largely funded by an unelected local quango who were themselves impervious to public opinion. It is most worrying that a body like World Class Stratford could wield enough power to push local councils on against their better judgement, and though Stratfordians have ultimately emerged victorious from this hard fought and prolonged fight, it shouldn’t be too long before AWM are flexing their financial muscle once more and attempting to leave their mark on this vulnerable town.